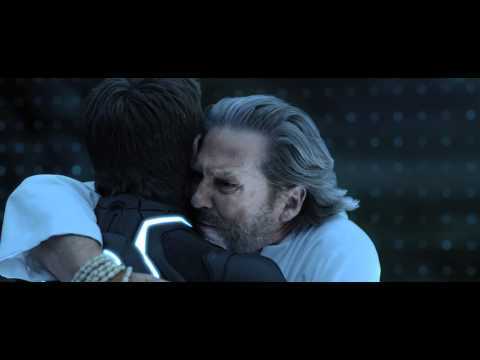 Everything GREAT About Tron: Legacy! Have ya seen the movie yet? Do u think that TRON: Legacy did the franchise justice? de keuze van de fan: No way! It ruined it! What did ya think of the movie? de keuze van de fan: Loved it!!!! why should I watch this movie? Is there an interest to TRON thematic applications for mobile devices? There is going to be a Tron sequel coming out volgende year! Would u like to have a TRONified room? 1. Poke Castor with his own cane. 2. Everytime u see CLU, pretend your in Blue's Clues and say "A CLU! A CLU!" 3. Run towards Castor, hug him and say "I love you, David Bowie!" 4. Everytime u see Jarvis yell "BALDY!!" 5. Tell a program to crack their knuckles until their fingers derezz. 6. Poke random programs with Castor's cane at End of Line and say "ELLO GUVNA!" 7. When u see Quorra, yell "Jules Verne!" and point. 8. When u see Kevin, hug him and say "Jesus!" Quorra: [Quorra is tonen Sam the book collection] Just between u and me, Jules Verne is my favorite. Do u know Jules Verne? He glared at me with his hypnotic blue eyes, his brown hair swpet back over his head and golden beam of light that gave his suit its character. I jumped down from the rock and stepped away slowly, eyeing him with my disk held to my own neck. "Miss me?" He chuckled and fallowed me as I walked backwards. The black guards that accompained him stood there ground with there tall sword like weapons implanted in the ground, there eyes watching me closley through the thickness of there mask. Those past few weeks were troubled times for me, as I roamed the grid empty handed, not a soul on my side. The Perge had left a gash in my memory I just knew I couldn't recover from. Everyone... Everything I knew.. All gone. Waves of chills coverd my body as I looked at the soaked ground and my feet that slid acrossed it. "How did u find him?" Sam asked. Quorra stood up to walk away, hestiating on telling him of her secretive past. "Its Okay" He then said, "I know." She turned to face him, then sat back down at his side to begin her story. Kevin: The Grid. A digital frontier. I tried to picture clusters of information as they traveled through the computer. What did the look like? Ships, motorcycles. With the circuits like freeways. Sam: What am I suppose to do? Sam: What is she doing?!? Tron:Legacy is 4th favoriete Disney movie. a question was toegevoegd: why should I watch this movie? a link was toegevoegd: TRON: LEGACY - Comic-Con Interview with Olivia Wilde "The Suits"
a comment was made to the poll: Have ya seen the movie yet? who`s disk did kevin flynn switch with after the light jet battle? Did Rinzler die in the end of the film,... yes of no?